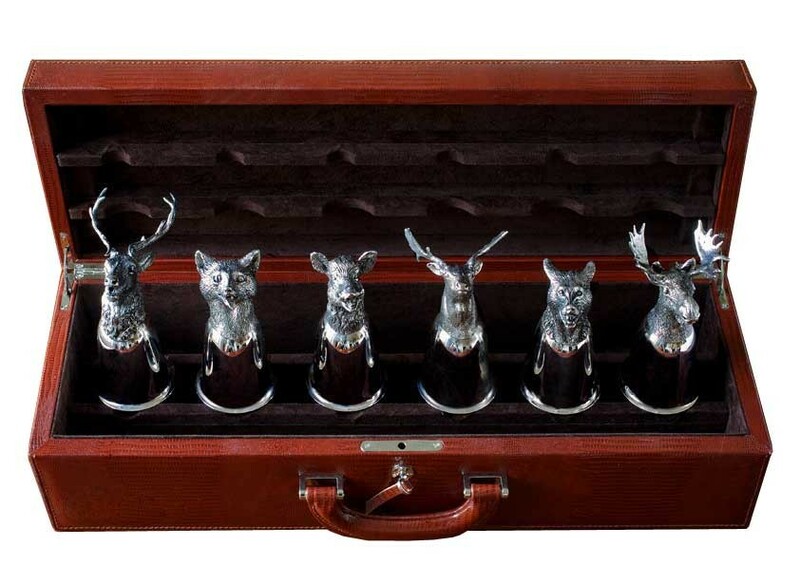 This exquisitely crafted, handmade, finest leather and velvet lined case opens to reveal six stunning sterling silver goblets. This exquisitely crafted, handmade, finest leather and velvet lined case opens to reveal six stunning sterling silver goblets. The base of each goblet encompasses a different animal head including a fox, wolf, boar, stag, moose and elk.